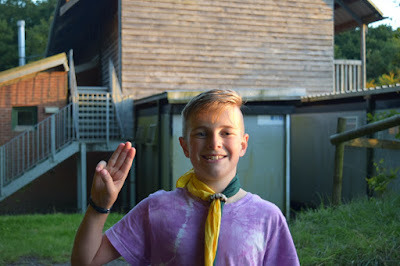 Welcome to the online home of 28th Portsmouth Scout Group. The 28th are one of the oldest Scout Groups in Portsmouth, formed in June 1915 at St. Cuthbert’s Church in Copnor, the Scout Troop quickly grew to 20 in number and was formally registered as The 28th in February 1916. A wolfcub pack was associated with the Troop in July 1916. The Group moved out of St. Cuthbert’s in 2006, following the demolition of the church hall for housing and into Stacey Community Centre where we were to stay until 2011. We now meet in the Copnor area of the city. For more information on individual sections including age ranges, please click on the section name at the top of this page. If you have a child that is interested in joining our group, or are interested in becoming an Adult helper/leader please fill in the form on our Contact Us page. The group currently use Easy Fundraising to help raise funds. for more information please click on the image below. What's Scouting all about then?